Squills is an online newsletter dedicated to bringing quality and relevant news to the community of YoungWritersSociety.com. 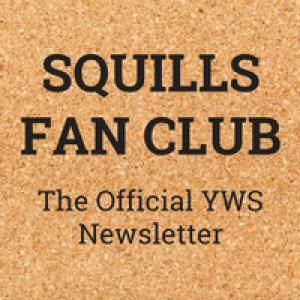 Since YWS is a site based around reviews and critiquing written works by other members, the Squills team recognizes the demand for quality in a site-wide publication and works to bring each article to a shining standard. Because the community is always changing and growing, the Squills team also recognizes the demand for timely, relevant information that without fail informs their readers. Of course, because our community is made up of energetic, brilliant, and funny young people, Squills also recognizes the need for a handsome, intelligent, and hip young mascot, which comes in the form of SquillsBot, everyone's favorite robot. Squills Fan Club is the place to discuss recent issues, start discussions on specific articles, give feedback to the Squills team about future potential, and chat up SquillsBot to get a couple Bleep Bloops. This is for you, the readers! Without you, we are nothing. :) Thank you. You know what the big problem is in telling fantasy and reality apart? They're both ridiculous.